These vehicles are known as PTS (Patient Transport Vehicles). All PTS variants are constructed using our unique manufacturing methods. The PTS (A1) is a CEN compliant stretcher carrying vehicle but scaled down for the basic requirements. Sometimes this vehicle also has the capabilities for the carriage of one wheelchair occupant. This vehicle design falls under all the requirements of our CEN design. Clamp variant is designed for the carriage of a minimum of two wheelchairs and a number of seated occupants. The wheelchairs are stowed in place by specially designed seats (RKR). 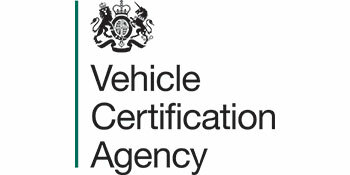 This vehicle type is not subject to CEN however it is required to meet the requirements of its vehicle group which could involve different testing criteria. However all VCS vehicle conversions are Type Approved. The seated variant is specifically designed to carry as many people as possible within the constraints of the base vehicle GVW. However on many of these designs there is the capacity to remove seats which are fixed in tracking and also have the ability to stow a single wheelchair or in some vehicle layout designs, multiple wheelchairs. Most of the named types above will utilise a ramp system to allow for entry / exit of the vehicle in conjunction with a side door electric or manual step. VCS can build on any range of base chassis and can certify to CEN compliancy and Type Approvals as required.